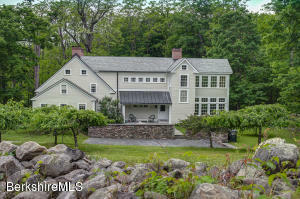 Offered to the market for the first time, a meticulous modernized farmhouse with it all! 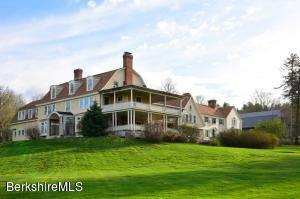 Sitting on over 50 acres, only 10 miles to Hudson, and with expansive Catskill Mountain views. Sleek and open chef kitchen with top of the line appliances, honed granite countertops, and window lined breakfast nook. Living room with rustic beams, gorgeous wood burning stone fireplace, and chestnut floors. First floor master suite. Wraparound porch. Crystal clear swim pond with a cozy cabin. Separate barn with workshop/studio space. A must see to truly appreciate. A Scandinavian-styled renovated modern Farmhouse with luminous light and glowing spaces, inside and out. 5 bedrooms, 3 full baths and 3 floors- completely refinished and refined. The studio is huge and perfect for any number of uses:family, crafts, workspace, art... Gorgeously oiled finished fir and oak floors, custom kitchen with pantry. Oversized library opens out to wrap around porches + 3rd floor attic is finished and available for media room, office, yoga/meditation. 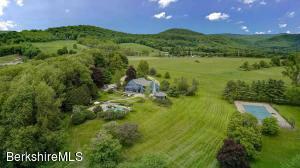 Outdoors there is 14+ acres of established flower beds, bi-level barn, greenhouse, 2 hoop houses, fruit and nut trees, berries chicken coops...a spectacular walking woods and 9 acres is protected by a deer fence + additional fencing and gated entry for privacy, protection and ease. This might be the perfect Herb Farm! 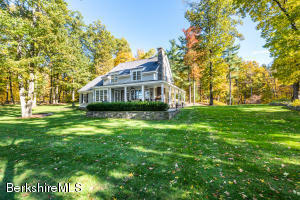 A True Berkshire Gem in a Premiere Location Over Looking Long Pond. Wow! 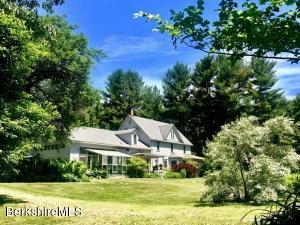 Classic farmhouse on nearly 80 acres with a barn, orchard, pool, tennis court, play house, and gardens. 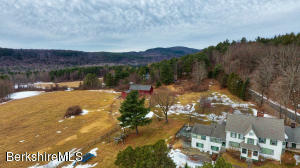 All of this over looking open fields, Log Pond and Catamount. 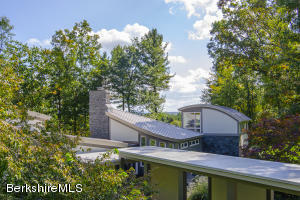 This is truly a spectacular setting with a large living/family room, formal dining, large eat-in kitchen and den. Second floor with bedrooms and third floor finished as studio space. Finished lower level room with full bath and outdoor shower for after swimming, tennis, gardening, or just playing. Come put your personal touch on this gem. 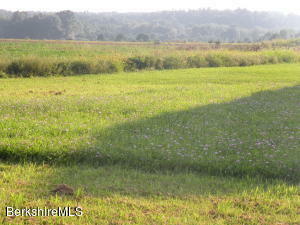 A bit of work for a lot of gain.In 1987 additional land was purchased for $80,000. 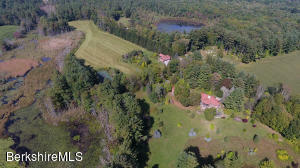 House sits on just 4+ acres but the entire lot is nearly 80 acres. Inscription in kitchen beams are from 1820. Wind down the quiet dirt road, over the six country bridges and arrive at this rare, perfectly restored 1760's farmhouse sited on 28+/- pastoral acres. The meticulously maintained residence features a 2009 addition designed in the tradition of the original home. The authenticity of the restoration and addition belies the 21st century amenities which make it an ''antique house that has it all''. 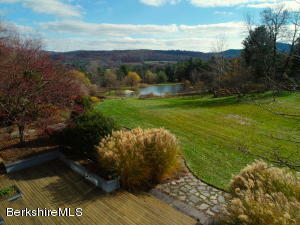 Seven Bridges' pastoral acres features a heated pool and babbling stream The farm enjoys privacy as it abuts a 500+/- acre estate. The house contains five bedrooms and five baths, and 6 wood-burning fireplaces, perfect to cozy up near. The heated pool is privately located on the upper field with broad views overlooking the open fields and adjacent paddocks. Barns and paddocks may be offered separately. Listed by Cindy Welch of LANDVEST, INC.